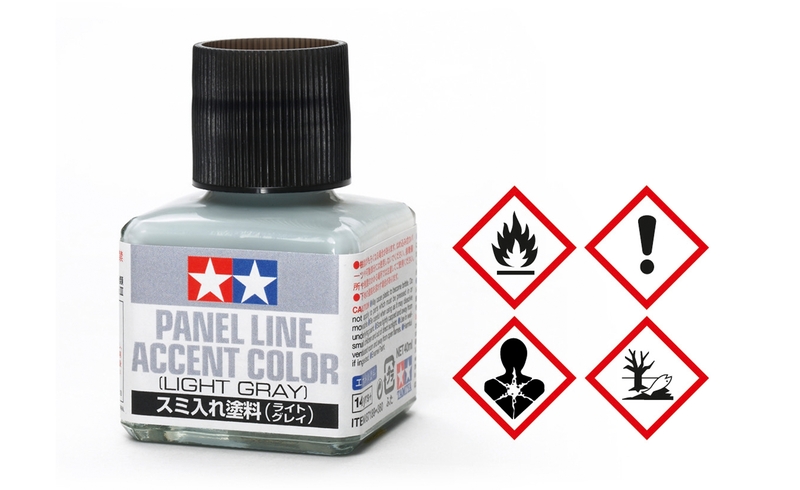 Tamiya Panel accent Colors (washings)-with these colours, realistic weathering traces or the contours (on vehicles, aircraft wings, etc.) can be imitated and emphasized on stand models. These colors on Enamelbasis are pre-mixed ready for use and the dilution ratio is perfectly matched. This also enables beginners to successfully enter the world of weathering, washing and chipping techniques. Light surface finishes such as white, yellow, etc. 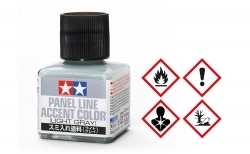 • Grey-ideal for replaying contours on brightly painted surfaces/models such as white bodyshells or a light grey fuselage of Japanese planes. Contents: Bottle with 40ml, applicator in Cap.